VanLife Crisis: A Kindred Spirit? 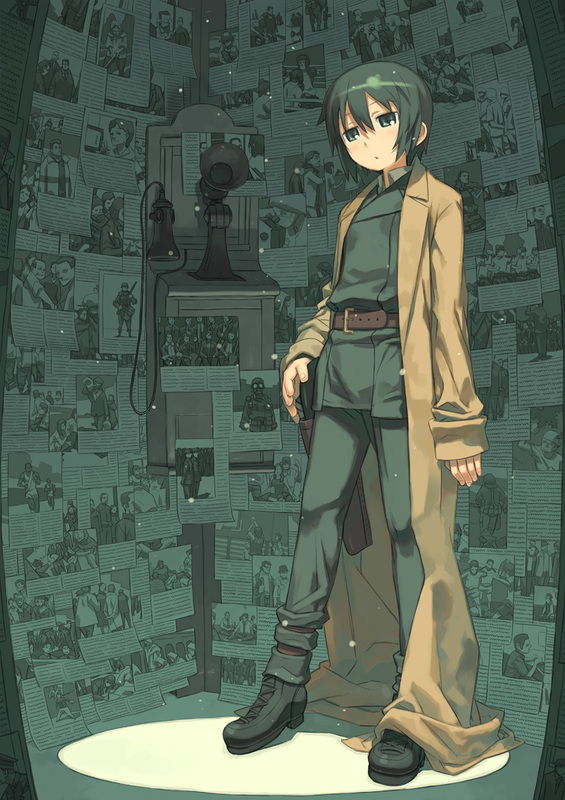 I have recently been watching Kino's Journey, a japanese animated series about a young traveler in a beautiful yet dangerous world. This anime, in addition to it's gorgeous artwork, is very compelling and well written, based on a series of light novels. Each episode has Kino and motorcycle companion Hermes visiting a new 'country', but living by the rule of only staying 3 days maximum. Each country has vastly different cultures and technological advancement, and it is a way for the author to explore various deeper moral questions about how people live, treat each other, on a personal level and as a whole. There are many parallels to society today, and great societies of the past, complete with faults and dangers. The author leaves much to the viewer's interpretation, and it is a very introspective show. Kino was purpose made to allow the viewer to slip into the role. Kino's gender is even left ambiguous for the first 3 episodes, and often confused by people Kino encounters. I felt a sort of kinship with Kino as a traveler and the desire to go out and explore the world. Even the ugly parts of the world can make the rest look beautiful, and this is a prevailing theme of the show. I would highly recommend anyone to watch Kino's Journey, though it might be a little brutal for younger viewers. "Though I did not know the place, I set out for the land of my dreams. Having arrived at the land of my dreams, I found I did not know the place."